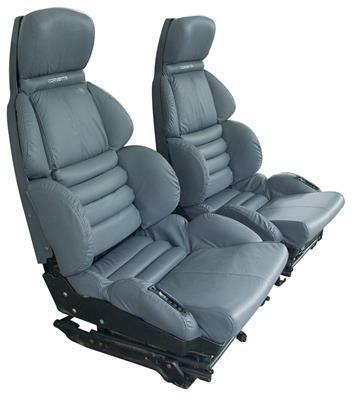 Send in your pair of sport seats and have new covers installed. Service includes new seat covers (100% leather or leather-look), new seat foam, and installation service using new installation kit. Seats are returned to you ready to bolt back in your car! Must be prepaid with check or on a credit card. These seat covers have the embroidered logo as original. NOTE: Please allow 4 weeks for installation service.